Workplace Challenge Wheelchair Basketball Winners! The Ashmount Staff Team are no strangers to sporting success! 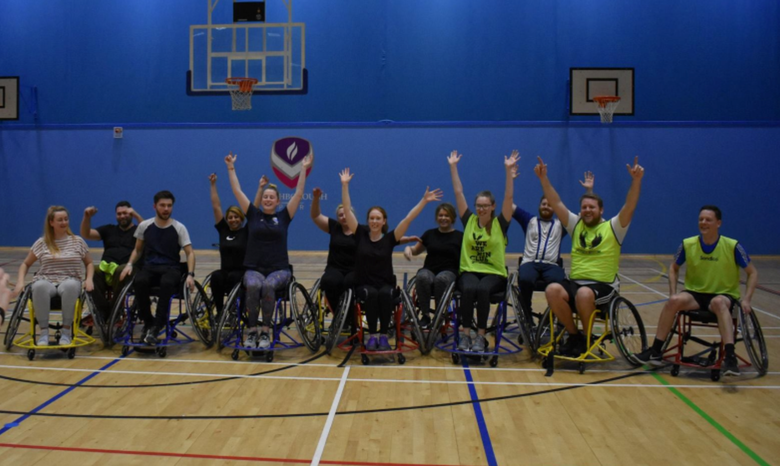 On 24th January 2019, Ashmount entered two staff teams into the Leicestershire and Rutland Sport (LRS) Workplace Challenge Wheelchair Basketball tournament at Holywell Fitness Centre, Loughborough. Both teams put up an impressive performance in the 3-hour event which saw the teams split into two groups where they would play teams from 6 other local companies in a round-robin style format. However, it was the Ashmount A Team which proved the quickest and truest shot, winning all of their qualifying games and beating the Youth Sport Trust in the final to be crowned champions on the night!